US intelligence officials have offered Russian businessman Viktor Bout after his arrest to give incriminating evidence against Rosneft CEO Igor Sechin in exchange for a less severe sentence, Bout’s wife, Alla, said. BANGKOK (Sputnik) – Bout was arrested in Bangkok in 2008 in a joint operation between Thai and US authorities, who accused him of conspiring to kill US nationals by allegedly agreeing to supply Colombian militants with weapons. He is currently serving a 25-year sentence in an Illinois prison. "Victor was offered to provide incriminating evidence against Igor Sechin, for whom, according to the Americans, my husband was working for. Victor honestly replied that he was not working for Sechin and does not know him personally. He refused the offer and got a 25-year prison sentence as the minimum sentence for the articles he was charged under," Alla Bout told RIA Novosti. She added that she learned about the proposal of the US intelligence first from her husband in Bangkok, and then, in the United States, from his US attorneys. "And then here in Bangkok, after Viktor was taken to the United States, one of the Thai police officers, working on Viktor’s case, conveyed the words of an employee of the US drug police [Drug Enforcement Administration (DEA)], who told him in a private conversation that if Viktor provided after the arrest information about Sechin, he would have got just a ‘couple of years’ and then ’would be living very comfortably in the United States with his wife and daughter,’" Bout’s wife added. Apparently, that is why, she suggested, there were attempts to persuade her and her daughter Lisa to stay in the United States. 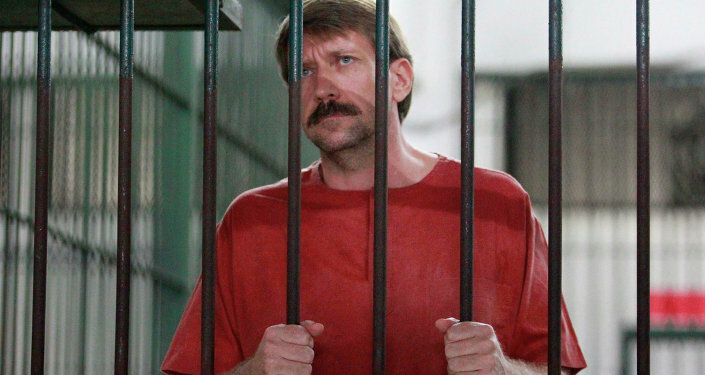 Back in 2010, Viktor Bout already refuted reports of some foreign media outlets about his acquaintance with Sechin during the alleged joint service in Mozambique.